So, once upon a time, we started this roadtrip, which I call “Adventures in a Disposable Car“. As mentioned, the plan was to drive one way, from Calgary to Halifax, Nova Scotia, through the United States, and then fly home. BUT the car only made it to Omaha, Nebraska. We dropped our rental car off at the Bangor airport, and caught a cab (which, by the way, was a powder blue station wagon, which must’ve been from the 1980’s…does that make sense?) back to the Greyhound Bus Depot. We planned to take donate most of our camping gear to the Good Will, or something similar, in Bangor; send some of our personal larger items, by Greyhound, back to Montana to my Dad’s house; and the rest (suitcase items – clothing and shoes) we’d take with us. At the Greyhound depot, the ticket agent was a man who looked EXACTLY like my Grampa. Since you may not have known him: He wore overalls, had the bushiest eyebrows and a roly-poly belly. Next, I explained that we had some crates going to Montana. No problem, he said, just put our address on the crates. Eventually, we got our tickets to Bah-Hab-uh, and our crates were set to go to Montana. The Bus Driver said, No. There’s no way he was leaving us at those cottages – it wasn’t within walking distance. What he proposed is: when we drive by the cottages, he’s point them out – but not drop us off. When we pass the Ferry, he’ll point that out. If we still want to stay at the Cottages, we could hitch a ride with him, on his way back. 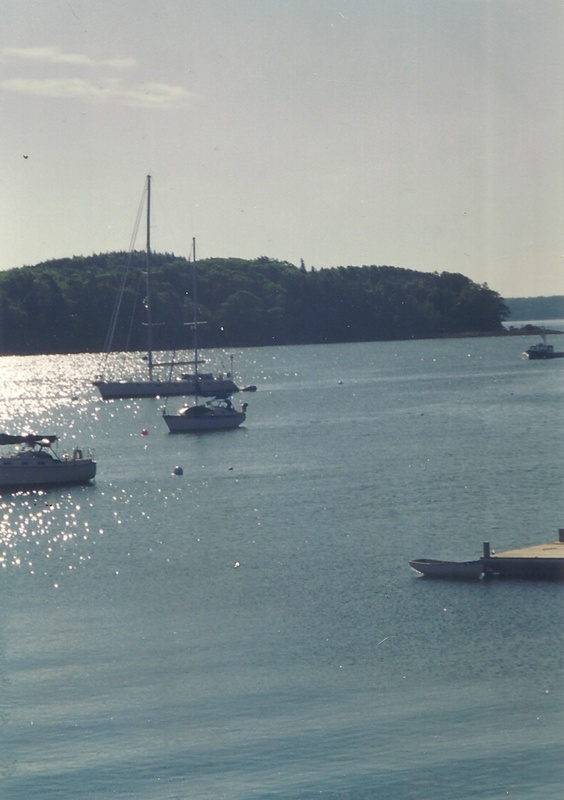 So, there we were, “stranded” in Bar Harbor. 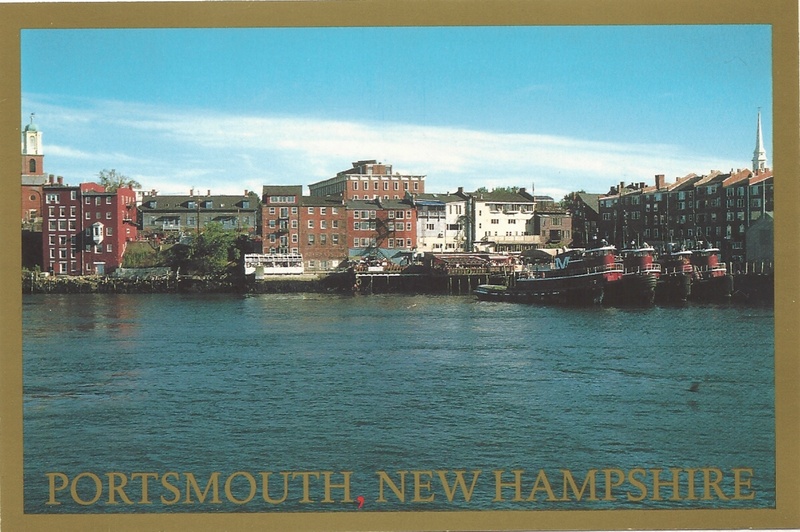 THAT is not an option, at all – the most hospitable, generous, easy-going town. The bus driver knew the motel owner (I’m 99% certain it was the Bar Harbor Villager Hotel) and explained that we had to 1) rent a room, and 2) get to the Ferry the next day. They hammered out the deal (with Peter observing), in that: as soon as the motel owner heard what we needed, she volunteered to drive us to the Ferry landing herself! This is the kind of town for me. 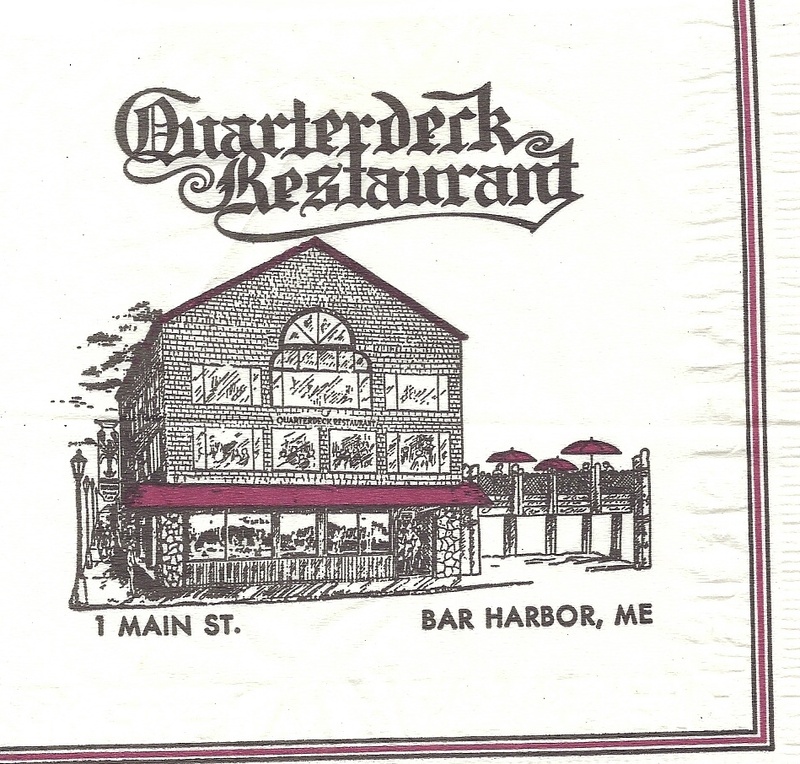 We went for dinner down by the wharf – and had lobster, of course. You must have lobster if you are in Maine! They had buckets (barrels?) of lobster from which you can pick, but I prefer to pretend that my lobster (and crab) isn’t a creature, and that it’s just yummy food in fancy packaging. (This is how my cognitive dissonance works.) So, we went to a restaurant, where I could just order a tail. We stayed there until the sun went down, and then meandered back up the main street towards the hotel.
. AND, he was a GREAT bartender!! For a “tall” drink, he included AT LEAST an ounce of mix. The next morning, as promised, a the crack of dawn (or, well, a few minutes before 8:00 am, actually), the hotel lady kicked everyone out of her Continental Breakfast area, locked up the hotel office, loaded up all of our luggage (well, what’s left of it) in her van, and drove us to the Ferry. We insisted on “giving her something for her troubles…or at least, gas money”, but she absolutely refused… until finally, it seemed offensive to insist. We loved the place! We are going back. Sometimes, a whirl-wind road trip is like a Sample Platter. You get a bunch of bite size appetizers, and then choose which you like, so you can re-order that next time. 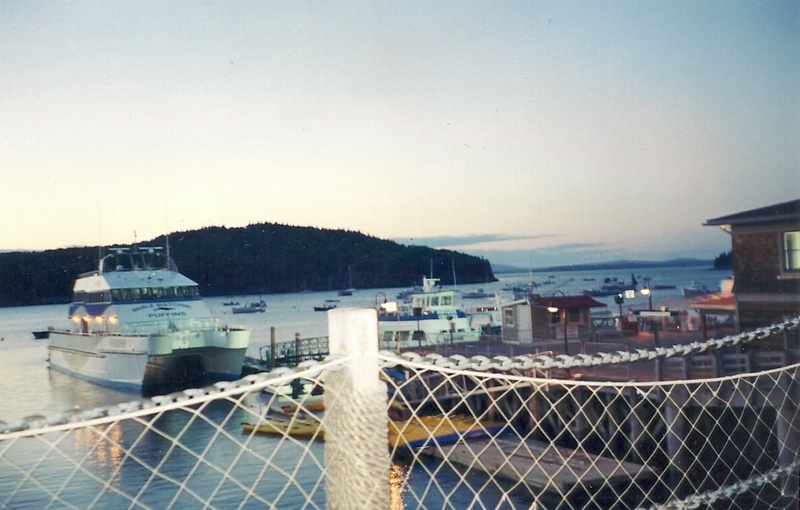 Bar Harbor is a “re-order” item. Yeah. About 1/2 hour in – SICK! SICK!! 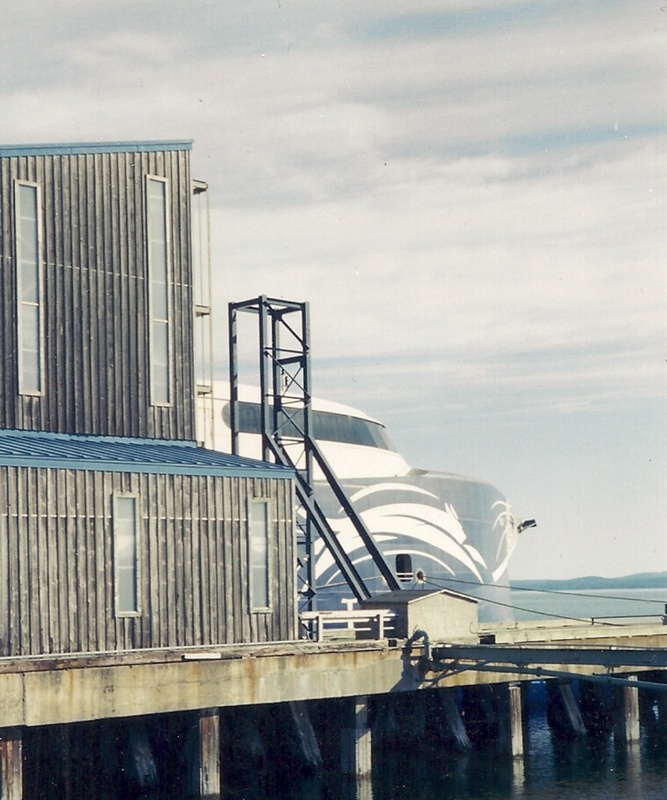 the route was on the outer edge of the Bay of Fundy, so really – the Atlantic Ocean. I don’t know if the sea was calm or …wavy… but after 1/2 hour, I had to take medicine and spent the entire rest of the trip… asleep. I’m certain that despite the blue sky and sunshine, it must’ve been tumultuous seas!!!! After apparently missing whale sightings, we ported in Yarmouth, I guess 3 hours later… and yay! friends picked us up! I’m sorry that the CAT isn’t running anymore…it was a fast way to get to Nova Scotia.